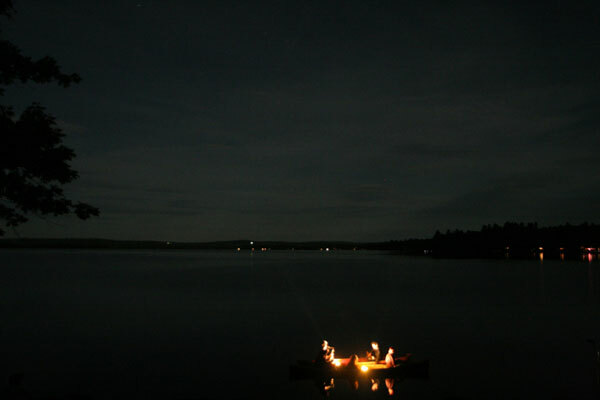 In 2006 I spent nine weeks in upstate Maine at an artist residency. During this time I tried to infect my peers with the popular song “This Is the Rhythm of the Night” by playing it repeatedly at social gatherings and by singing it wherever I went. At the end of the summer I organized a concert on the lake in which a trumpetist and a saxophonist performed an improvised cover of the song in two canoes moving in opposite directions on the lake. The insistent musical repetition therefore served as an invisible announcement of the final live performance. Presented at the Skowhegan School of Painting and Sculpture in Skowhegan, Maine.